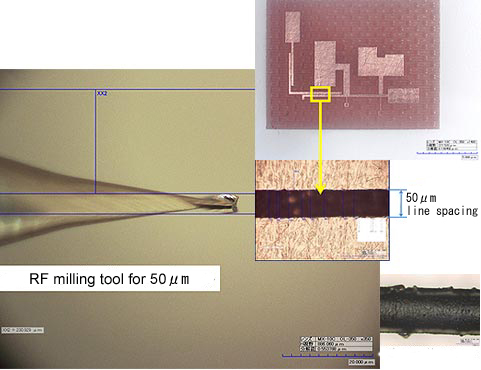 Magnified photo of the track milled by 50 µm (2 mil) end mill. 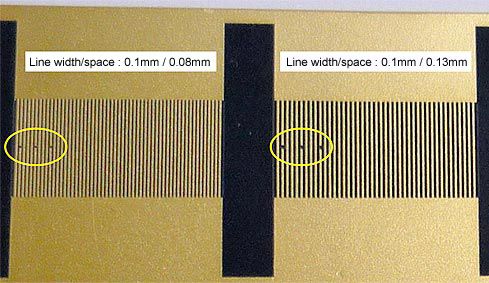 50µm line width is about a half of hair thickness. 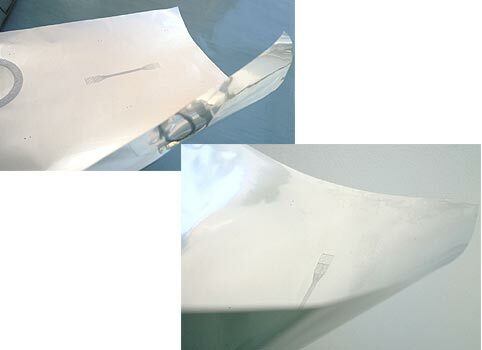 FP-21T Precision is capable of cutting fine grooves as this photo. 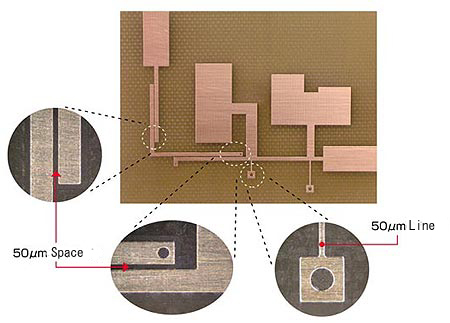 You cut patterns on film like thin material without piercing it using FP-21T Precision. 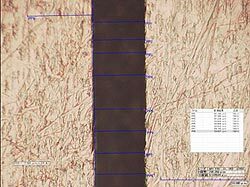 You can cut patterns without damaging adjacent lines in such a narrow line spacing.